Cleaning for a Reason is a wonderful program that I am very proud to be a part of. 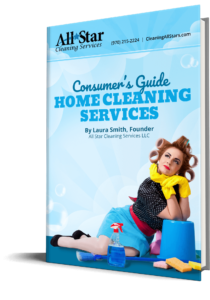 All Star Cleaning Services was the first chapter of C4R in Colorado 2 1/2 years ago, and is still the only chapter serving the Northern Colorado area. Since partnering with cleaning for a reason in late 2006, All Star Cleaning Services has helped 25 women, including 6 active patients as of today. Or Toll Free at (877) 337-3348. Current clients get your carpets cleaned in June and we will donate 20% of the cost of the cleaning to the C4R foundation in your name.